Local search, in all forms, is becoming increasingly popular. In the past, it has been difficult for local businesses to advertise on search services because there were barriers – such as knowing how to use cryptic technology – but recent advances, like Google Maps, have helped make local advertising more approachable. It’s now reasonably easy for a local business to get listed, simply by claiming a spot on the map. The more businesses who register, the greater the resource, and the more people will use it. Also, the more people will come to expect to see local resources. With the widespread use of smart-phones with inbuilt GPS services, the global local search market set to soon surpass $31 billion. There is a lot of potential coming up in local PPC. 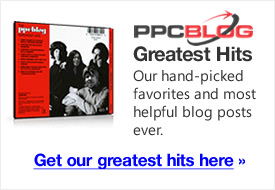 Local PPC campaigns require different strategy approaches than national or worldwide campaigns. Let’s look at targeting people who live in a geographic area first. 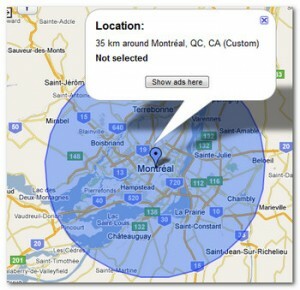 Within Adwords, you can target by searchers location. Google determines this information by looking to see where the searchers internet service provider is located. The problem is that some users may connect via a server that is not physically in their geographic area, or they may be surfing from work, which could be some distance from where they live. The way to cover this issue, and target people who seek information on a geographic area, is to run two separate but related campaigns simultaneously, one at the local level and one at the national level. Note the use of more general terms that would be too unfocused at a national or worldwide level. Here’s how the same ad group might look at the national level. Use a keyword list generator to add in the location, and show ads in this group to all people, regardless of their physical location. Note the use of geographic qualifiers, in order to avoid clicks from people who have no interest in the area your advertiser serves. These are very basic examples for the purposes of illustration, of course. Your campaign will include negative keywords, more geographic terms, and different forms of keyword matching. Note that they are both local campaigns – they are both qualified by region – but done in different ways in order to create both a larger net and retain focus. Brainstorm keyword ideas that will help differentiate local searches. There are place names, of course, but there are also zip codes, street names, telephone numbers, local attractions, landmarks, destinations and more. If applicable, your ad text should contain local markers, as should your landing page. Get all your (local) ducks lined up! Carefully examine your business. Will people travel for some of your services? If so, how far? Whilst it would be unlikely people would travel far for a haircut or a bar, given such services are typically plentiful, they might travel a considerable distance to see, say, a highly regarded plastic surgeon. They might even fly in from a different country. Such services can be both local and worldwide, so be careful what you define as local, else you might miss valuable traffic. Conversely, closely watch your ROI on services that are typically local – again, like the plastic surgeon example – that you are advertising nationwide. You’ll be competing with people in their own local markets, and businesses that do have a national presence, and you may face stiff bid prices. Also consider time of day. Depending on the type of business you’re advertising, you may want to only run local campaigns during office hours i.e. when the business is actually open and able to respond to inquiries. You may consider bidding lower outside these hours if conversion drops away because the business can’t give an immediate response to inquiries. 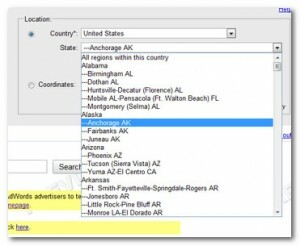 Use the local selector on the right to spy on your competitors who also target your area. Google actually wants to help you target local by giving you a few extra lines in your ad, depending on context. 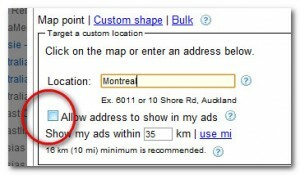 You can get your address to feature in the ad by enabling the “Allow address to show in my ads” under the Custom tab. Google’s Custom area feature is handy for creating your own local geographic areas. How might you use this? Say if you know that most of your customers come from specific locations within or just outside a geographic area, you can target these visitors precisely. Interesting post and alot of good advice/ideas in here. I have been trying to improve my SEO for my website betterbid.com, which is open to businesses nationally, and learned recently that 1 out of 13 searches on Google yield a map result. This is great for local advertisers but can be difficult for SEO efforts for national businesses. I agree with David – intereting and good information. I am in real estate and have found that my LOWEST ROI comes from the locals. The locals are a much higher percentage of tire kickers, just looking out of curiosity for various reasons. If they are for real, they undoubtedly are already hooked up with a agent who is a friend, or friend of a friend, etc. I’m thinking about blocking my local area and seeing how that pans out.